Whereas in the United States President Trump is criticized for rallying against state governors who oppose him in his fight against illegal immigration (California’s Jerry Brown comes to mind), in Italy they have taken this policy way further already. 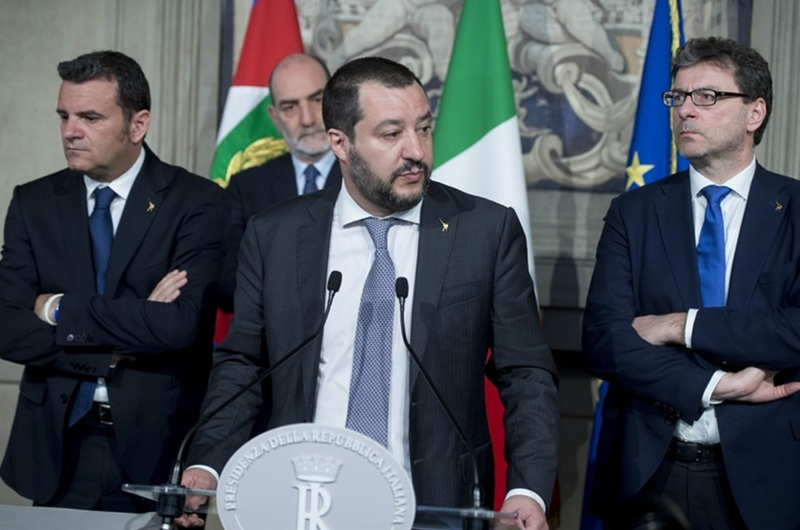 Yesterday, Interior Minister Mr. Matteo Salvini placed the mayor of a small town in southern Italy under house arrest for allegedly aiding illegal immigration. Related coverage: <a href="https://thegoldwater.com/news/38102-Italy-France-Migrant-Feud-Gets-Biblical-Salvini-Is-Behaving-Like-Pontius-Pilate#38118"> Italy-France Migrant Feud Gets Biblical - ‘Salvini Is Behaving Like Pontius Pilate’</a>. The Calabrian town of Riace, Mr. Domenico Lucano, was arrested as part of an investigation into the allocation of a half-million euros in public funds to house refugees and asylum-seekers. The man became famous twenty years ago when he, in a race to stop his town from disappearing as more and more Italians moved north, integrated hundreds of migrants into the town. His village of fewer than 2,000 residents at the time housed more than 200 Kurdish refugees in 1998. Under his leadership, the town offered the newcomers housing in vacant properties. It would now appear that the mayor used illegally obtained funds to arrange marriages of convenience to help female immigrants remain in Italy. Because of this, Mr. Lucano’s companion, Ms. Tesfahun Lemlem, was also placed under investigation and now, under the new law that Mr. Salvini’s parliament recently adopted, risks losing her Italian residency. The local prosecutor for the town of Locri, Mr. Luigi D’Alessio told Italian broadcaster Sky 24 that the investigation was ongoing for 18-months already and is much broader in scope than what was contained in the arrest warrant. they are all black invaders,: the mayor should be hung in the streets as those africans belong in their own land festering in the overpopulation they breed. Salvini the Immigrant Slayer. That man is going to save Italy, her culture, and it's politics. That invasion force looks so starved and malnourished, and skeleton like, yeah right. Good job Salvini. Lock a few more up and the Italian people will rip the insurgents from your soil. It must be done here as well. Declare martial law, round them up. Most of the citizenry will cheer! The law abiding ones the loudest to be sure. The only ones in protest will be the lawbreakers anyway. Round them up as well & give them background checks. No criminal record ? Good now there is. Then send them home in a day or three… Quick end to any malicious rioters.